You caught him perfectly! Wonderful detail. 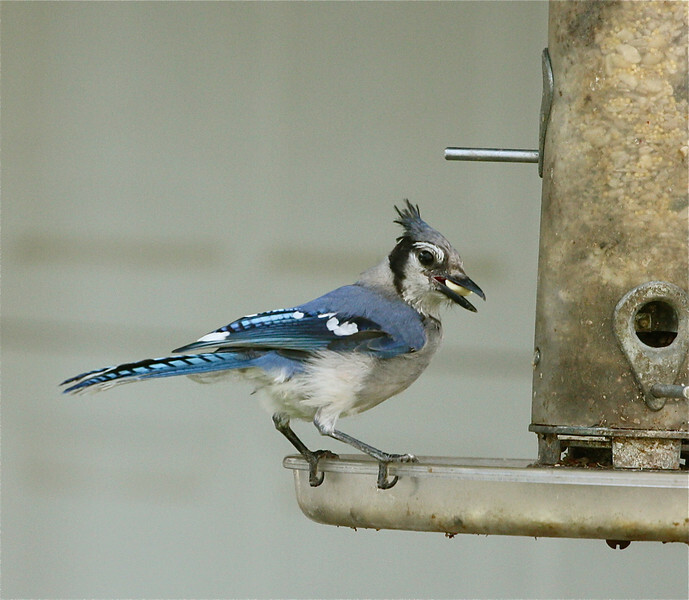 Very nice Blue Jay capture. I'm thinking this is a juvenille due to the rumpled hair feathers but not positive. I have a female cardinal that has the same rumple, and I've seen her with a mom and dad bird. Love how you captured him with the seed in his mouth. He looks rather rumpled -- look at that bedhead hair! ;-) Great shot! Great shot! Crisp colors, simple background and perfect timing.